New Blog: Theology in Motion! I’ve had my blog, Two Greek Words, for almost two years now! But I’ve decided to give my blog a makeover. New look, new logo, and a new name. As much as I loved the name, there are a few reasons for changing it. I wanted my new name to say what the blog is about. Most of my traffic for Two Greek Words came from people searching things like “Greek word for two” or “two Greek words for _____”. And people couldn’t tell what the site was about from the name. I also wanted to have a name that put an image in the reader’s mind. Theology in Motion does this for me, because it makes me think of movement. 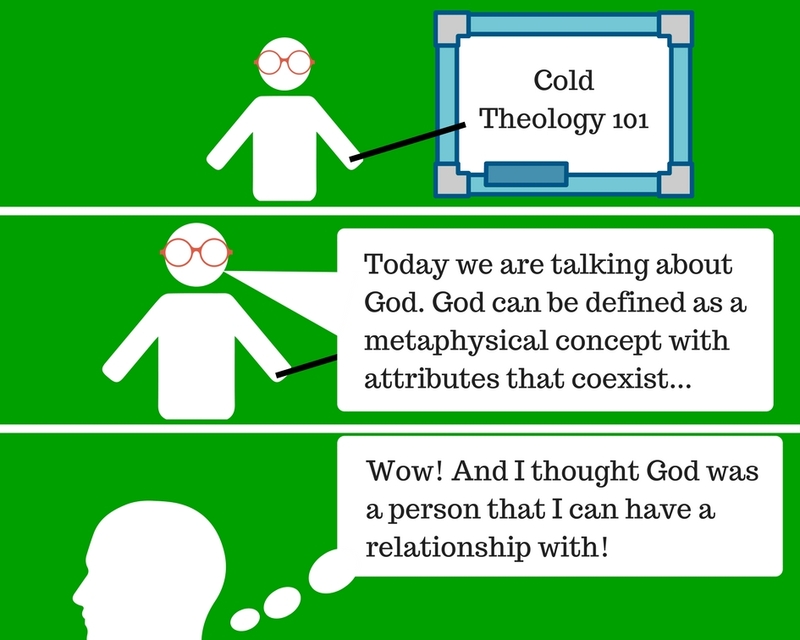 Unfortunately, theology can become nothing more than debating abstract concepts about God. Many times, we miss the God behind our theology! Finally, I am ready to refocus the purpose of this blog. Before the purpose was just to talk about theology, plain and simple. The problem was that my content was a little too scattered. Now since the purpose has changed (more on that below), that means some things about the blog are going to change as well. There are going to be three primary changes to the blog format. First, each blog is going to have an application section at the end that gives practical ways to apply our theology. Second, each post is going to conclude with a closing prayer for myself and you the reader to help keep our theology relational to God! So What is Theology in Motion? Theology in Motion is based on the idea that knowing God should move you. Not just intellectually, but spiritually, emotionally and practically. The purpose of theology is not to gain knowledge of abstract concepts, but to personally know the living God. As we grow in relationship to God, our view of Him and His Word propels us into action. Theology that doesn’t move us is really bad theology. And frankly, I am tired of theology that only affects the mind. It shouldn’t stop there. It should move to our hearts and ultimately to our hands and feet. So I hope you join me as we begin setting our theology in motion! Carey this sounds great! I need to have my spirit and emotions stirred up to know and love God more, so I’m looking forward to reading. Thanks man! I’m excited about a new direction and refocusing the blog!